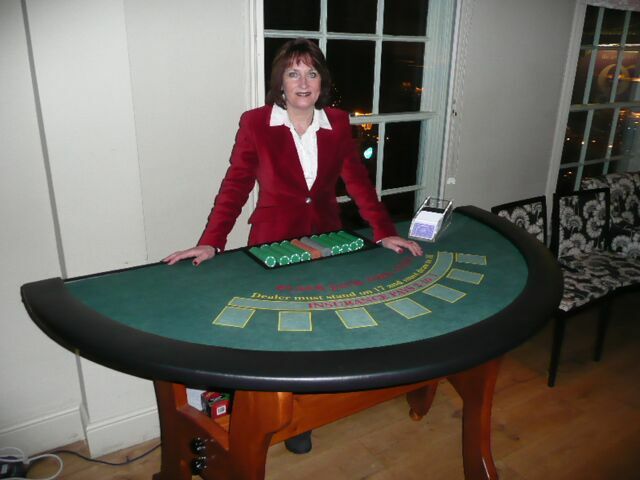 "The casino was great and our guests really enjoyed it. We would definitely consider using you again for future events. Many thanks for all of your help." Everyone thoroughly enjoyed themselves and your two croupiers were great. I will certainly pass on your details to anyone having a party or a fun night/charity event. I just wanted to let you know what a great job Tommy and his team did on Wednesday evening at my husband’s 60th birthday party (8th Feb 2017). 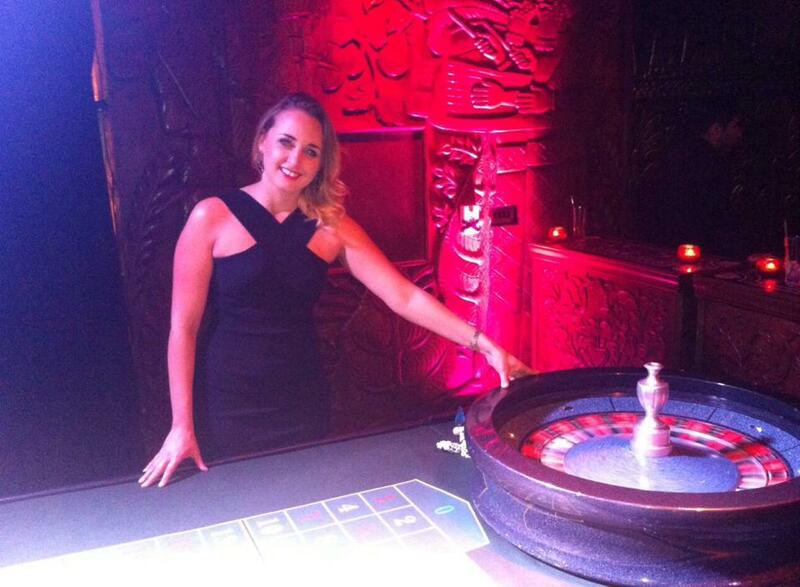 Everyone thoroughly enjoyed the roulette and black jack and I think there was some quite competitive gambling!! I am sorry we kept them rather later than planned and I hope they had a reasonable journey back home. As is often the case everything over-ran so we didn’t actually finish dinner until about 10.45! Thank you so much for all your help organising the casino. Here's a review from a company who held their festive party in January 2017 as like us, they are too busy creating fabulous food and drinks for their customers in their one Michelin star establishment in Clapham during December. Happy New Year! 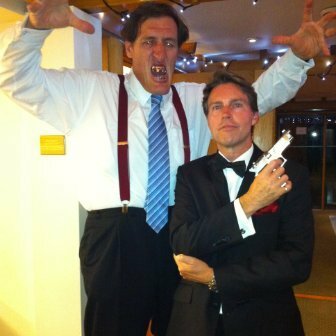 Consummate gaming professionals, nearly all of the team has worked in the top Mayfair Casinos since the mid 80s and we have operated as an entertainment business in the fun casino sector for over twenty years. 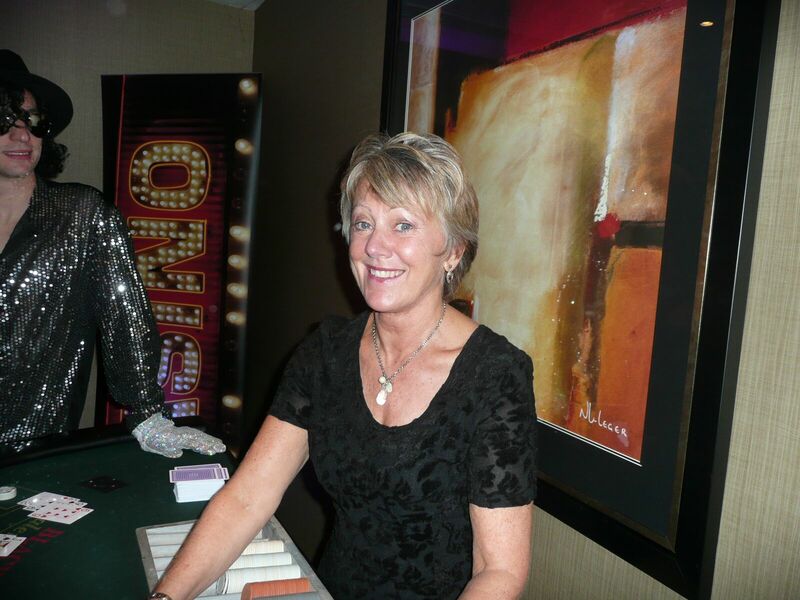 The team handles all the logistics for delivery, setting up and collection as well as managing casino events. Very important for event organisers. We have never had to cancel an event because of snow, floods, storms or ice! 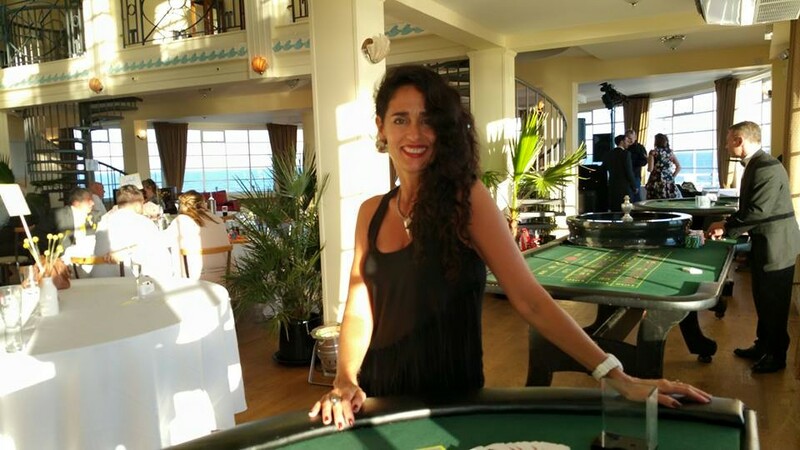 The whole process from deciding that you want casino entertainment through to the actual delivery of the entertainment on the day has been finely honed, so that the Client can feel absolute confidence in every aspect of our service. It's not just about price, if you require any help or advice on the format or itinerary of your event, then we're here to help - anytime. We have solid event experience and gaming knowledge here to pass on to Clients. But above all, it's going to be a fun casino night for everyone! I would just like to say a big thank you. The casino theme went down a blast. The timing was perfect and your staff were exceptional! Everyone really enjoyed the evening so much that they were addicted to it!! When we get the pictures from the photographer, I will email some over to you. From start to finish everyone I had contact with were very helpful and professional, from original enquiry to the service and entertainment on evening. I would not hesitate to book again or recommend to anyone else. Everyone had a great time. Thank you very much. Casino Hire London, were absolutely fantastic from beginning to end. We had our son’s 16th birthday party (The Marriott Kensington) and wanted a ‘wow’ factor and this was it. The team was great at guiding us regarding what tables would work and the company worked around our schedule completely so the transition from a drinks reception area to the casino room was seamless. The tables were managed perfectly and everyone had a great time. They were a big hit! I would definitely recommend them and we shall be using them again I am sure! I am delighted to drop you a brief note to say how much we and all the party guests (all 55 of them!) enjoyed the casino night. 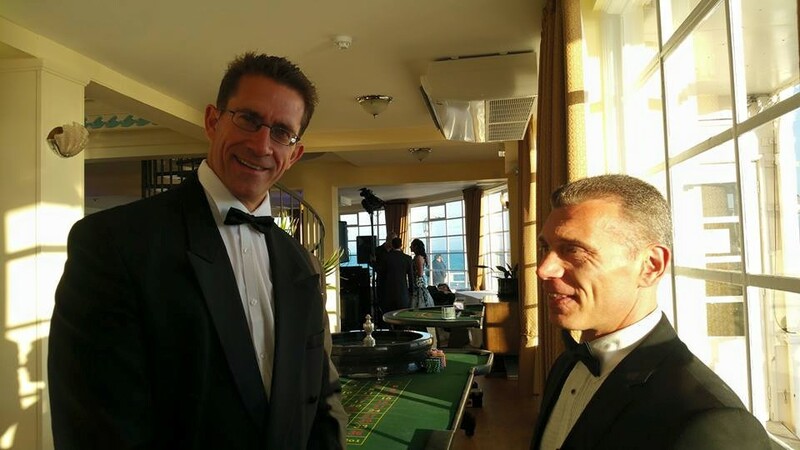 I would be delighted to recommend Casino Hire London as your service was fantastic. The booking process was clear and straightforward. We were confident that we knew what we were going to get but expectations were far exceeded on the night. 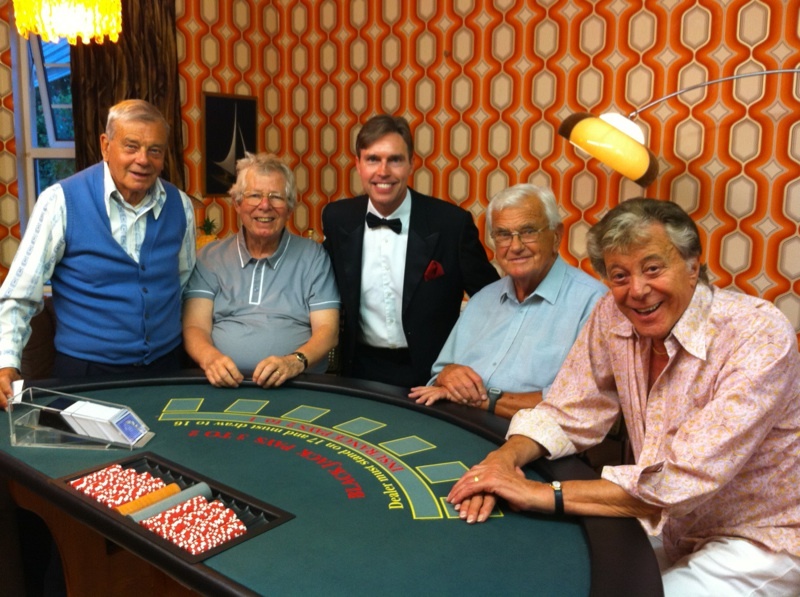 Adam & Martin were great croupiers and charming casino ‘hosts’. They really went out of their way to ensure we were relaxed and all the guests knew how to make the most of the tables and above all have fun! We have had loads of lovely feedback from our guests many of whom say what a great experience you guys provided! Just a few, somewhat belated lines, to thank you for all that you did to make Lynne's 60th birthday party on Bank Holiday Monday a great success. In the circumstances, the family did incredibly well to rekindle the party spirit after Mr Smitham's fall and you played a large in that by keeping the casino going against all odds! Sincere thanks to you on behalf of Lynne, her guests, Su and I.
I just wanted to write and say thank you for the professional but also friendly manner of your casino team last night. It was a great event and your team made it an easy job for us, the organisers, and our guests remarked on the relaxed, fun banter at the tables. Please pass on my thanks to Joy & her team. 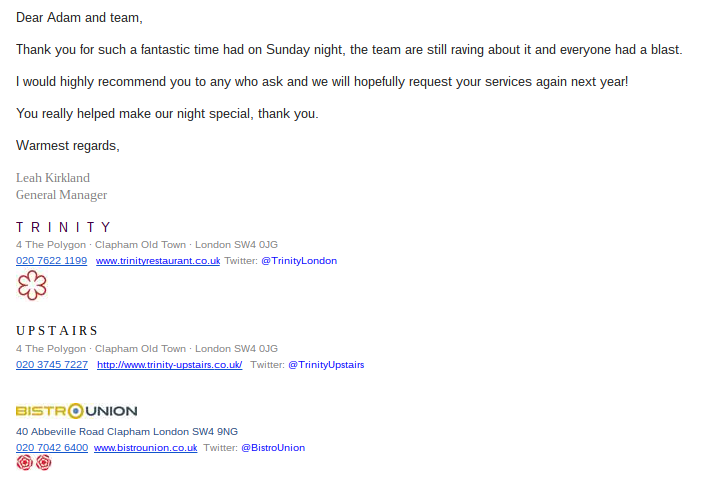 Thank you you too for organising it for us, we will definitely be recommending you to others and for future events! I had meant to email a big thank you before now, but school is particularly demanding at the moment, so my apologies.I really was impressed with you guys, from start to finish. The booking process was easy & nicely personalised, the generous gesture of visuals was lovely & you & Claudia were fabulous on the night.Your input made the party, as was my hope. Guests had a ball, as many made known at the time & since. I was proud to have a sophisticated & fun occasion combined. What a success!I'm sure others present will consider your input at future events & I will certainly repeat the theme (using Funcasinos) at future parties I'm responsible for.Many many thanks! Sorry I didn't reply earlier. We had a brilliant night and we have had loads of great feedback. 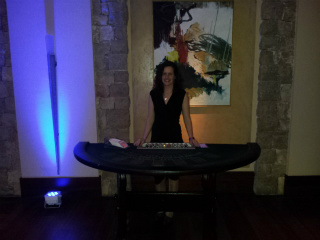 Adam and the other two croupiers did a great job keeping the night flowing and the time flew by. Richard and I just wanted to thank you for being so professional on our wedding day. We thoroughly enjoyed playing the tables, as did our guests and they've all commented on how good it was and how much fun they had! Just a quick message to say thanks to Adam and his team for looking after us last night, everyone said it was a great evening and they enjoyed the casino, unfortunately I was not feeling well and had to leave around 9.15pm, so could not convey my thanks to Adam at the end of the evening. Once again many thanks and will be in touch next year to see what other things we may be able to arrange for our Xmas event. I just wanted to thank you for a great casino last Thursday evening. I’ve had feedback from my duty manager and the guests that the casino was a hit, and Gary was very helpful with set up during the afternoon. Superb evening! Adam and the team were exceptional.